Pumpkins are stacked in a pumpkin patch Friday, Oct. 26, 2018, in north McAllen. Piglets, ducks and chickens scrambled through Maddie’s Pumpkin Patch Friday as dozens of parents tried to capture the perfect fall portrait of their children. According to Rick Vega, that’s been the scene at his north McAllen property since the season started, on Sept. 15. So far this year, he’s sold over 800 full-sized pumpkins and over 1,000 hand-sized ones. This is the second year he puts on Maddie’s Pumpkin Patch. Last year, his then 1-year-old daughter Maddie (the property’s namesake) was in the hospital with pneumonia, forcing them to start two weeks late. But the show must go on, Vega thought. In the short time it was open last year he got several requests to open it again the next year. What makes the experience so unique, Vega said, is that the Valley doesn’t see a stark change in seasons as other places in America. 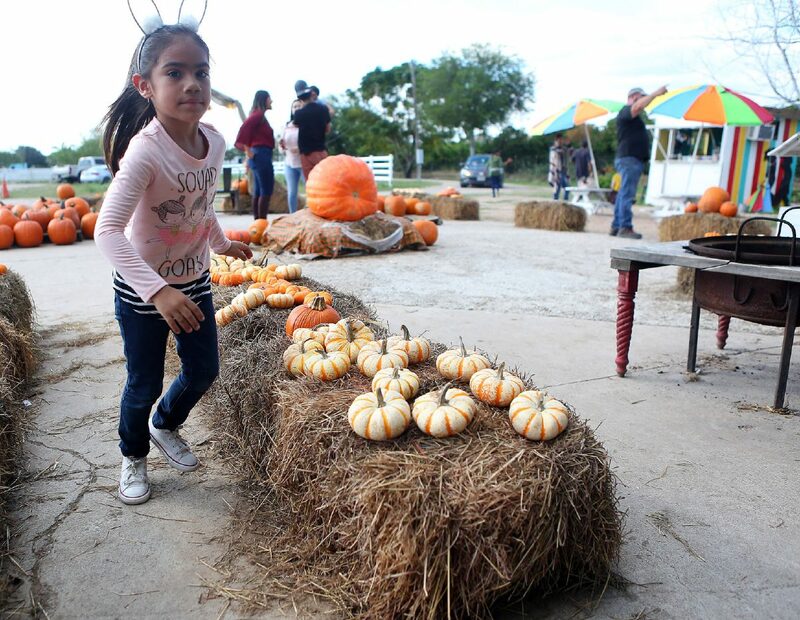 Kimburly Torres, 6, runs through a pumpkin patch Friday, Oct. 26, 2018, in north McAllen. The typical pumpkin patch associated with fall just doesn’t grow in the Valley. Vega knows, because he’s tried. 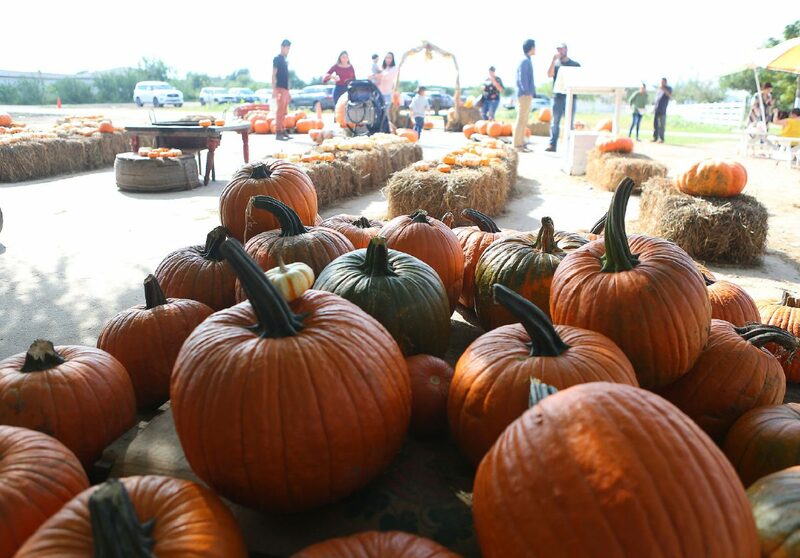 He buys the pumpkins in the Texas panhandle and brings them down to his property. According to Vega, the average visitor says they saw the pumpkin patch on social media. That was true of Ashley Zuniga, of McAllen, who brought her 1-year-old daughter Luna to Maddie’s on Friday so she could choose a pumpkin. Luna, who was sporting an orange and black dress in preparation for her photoshoot, was most impressed by the piglet napping on some hay. As it woke up, it began to chase the chickens it shares its pen with, which made Luna laugh. For Vega, the property is his “retirement playground.” He has plans to make a “Christmas at Maddie’s” light show on the property this year, and in the future he hopes to add more seasonal activities.